They ding, they beep, they light up and cheep…everyone loves a good gadget! And we’ve gone to Las Vegas, Atlanta and New York City to find the coolest gadgets of the year. From a robotic lawnmower to a high-tech doorbell, we’ve got every thingamajig, doohickey, and whatchamacallit you can imagine. Give one of these, and you’ll be a hit! The holidays are a fabulous time of year…unless, of course you’re worried about what to give your favorite people. Well, worry no more…this is the ultimate gift guide. We’ve traveled to two of the hottest and most exclusive gift expos around, and we know the gifts to give. From guys to girls and from kids to co-workers – f you need to give a gift, you won’t want to miss this! The International Furniture Show is a one hour produced for HGTV that shows what’s new for 2006. Get a behind the scenes tour with co-hosts Gail O’Neil and Mark Totty at the largest home furnishings trade show on the planet in legendary High Point, North Carolina – the home furnishings mecca of the world. It’s a holly jolly look at the biggest, most outrageous, and over the top holiday displays on the planet. We’re visiting the world’s largest gingerbread house, cozying up to the coldest ice sculptures the sunshine state has to offer, catching up with two guys who’ve gone crazy for Kringle, and dropping in on dueling neighbors ready to duke it out to become the King of Christmas. It’s an all out holiday extravaganza you don’t wanna miss! Let’s face it…everyone loves summer. And what’s not to love? The sun is shining, the water’s warm, and the days are longer. Sizzling Summer takes you to the homes of ten families that don’t just love summer…they loooooooove summer! From a backyard waterpark to the ultimate treehouse…and Tony Hawk’s skatepark…we’ve got the coolest and most amazing backyards in the country. You won’t believe your eyes! Designers Karen McAloon and Taniya Nayak are on the shopping trip of a lifetime, teaming up with Domino Magazine to unveil the hippest home designs from around the globe. Plus, they’re helping stumped shoppers learn the ins and outs of tasteful home decor and dishing design tips to home viewers. It’s the ultimate play date – Toy Fair 2006. Hosts Tava Smiley and Mark Totty take an hour long tour through a virtual toy land in New York City. Among these 1,500 vendors, you’ll see the most innovative, must-have toys soon to be on every kid’s wish list for Christmas. Produced for HGTV. Getting married? Well, there’s lots you need to know…and we’ve got the experts to tell you everything you can imagine! From flowers to dresses to cakes to invites, whether you’re on a budget or blowing it out, our guide will take you through the latest trends and oldest traditions and get you ready for your big day. We’ll follow four couples as they plan their at-home weddings, and get expert how-tos along the way. It’s a must-see! 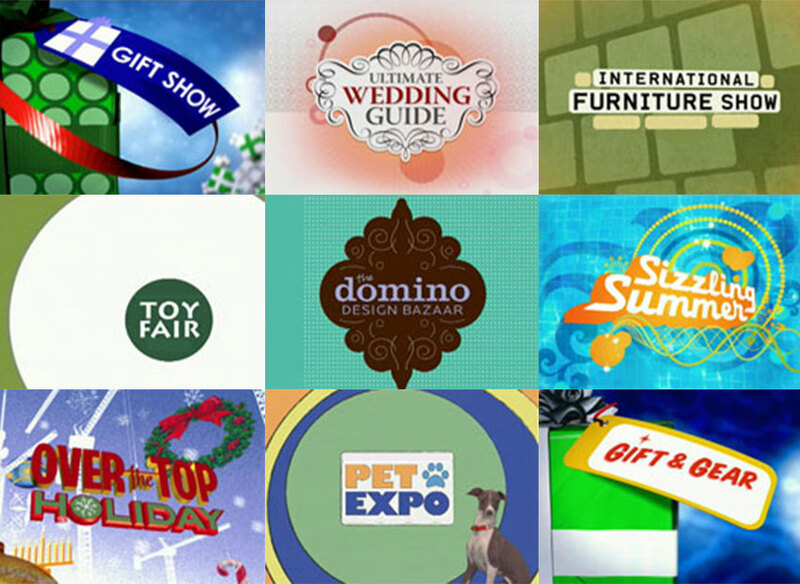 The Pet Expo is a one hour special produced for HGTV that the profiles the wildest and most extravagant pet products to hit the market. From designer duds to gourmet grub, this show covers it all! We have produced over 50 prime time specials for HGTV.